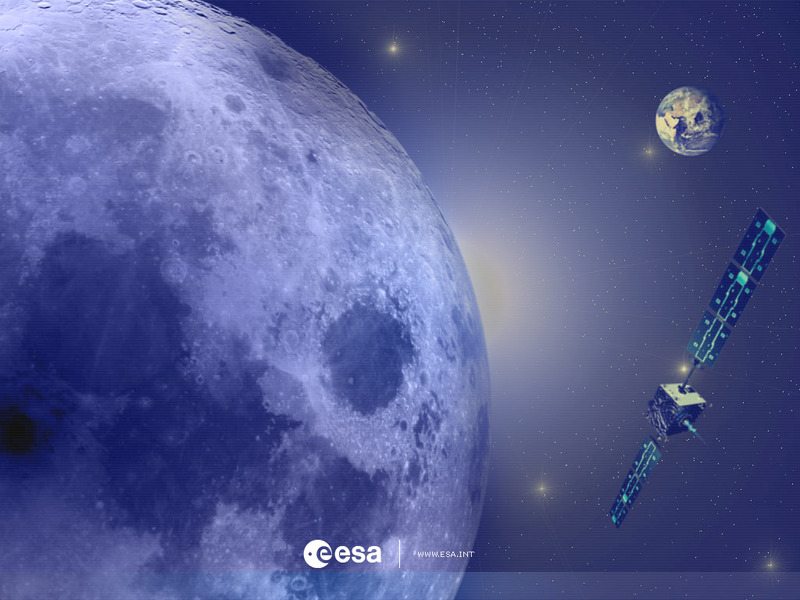 Since its launch in September 2003, the small but remarkable SMART-1 satellite has been silently spiralling its way to the Moon. In mid November, it will be captured by lunar gravity and next January it will reach its final orbit and start science observations. This week EuroNews talks to the SMART-1 AMIE camera team. SMART-1 is a technology demonstrator into which the European Space Agency has packed many innovative space techniques to be used on future interplanetary missions. Above all, it has validated a solar-powered ion engine as the main propulsion system, used for the first time on a European science satellite. Compactness and miniaturisation are key features of SMART-1 and its science instruments. EuroNews 'Space' magazine has met two of the Swiss astronomers behind its miniature lunar colour camera called AMIE. The AMIE camera has already demonstrated its qualities during the journey to the Moon. It has looked back and taken vivid pictures of mother Earth. It also observed from space the total lunar eclipse on 28 October. In a few weeks time, the AMIE camera will be opening more new ground, snapping the Moon in colour at close quarters and from a variety of viewing angles. Scientists will be getting unique data that will help them better understand its composition and how it was formed. One thing is sure: the Moon will have to smile for the AMIE camera! EuroNews is a key medium for delivering international information with a European point of view. Broadcast in 79 countries, EuroNews reaches 144 million households in Europe, the Middle East, Africa, Central Asia and North and Latin America via cable, digital satellite and through terrestrial channels. This Space Magazine is produced and broadcast every two weeks, with a new programme starting every second Friday. Each magazine is four minutes long and broadcast 21 times in one week, including evening prime time on Fridays and Saturdays, in order to reach a maximum audience.